This book was a fast read for me, but I made the mistake of not writing this review back in August when I finished reading it. 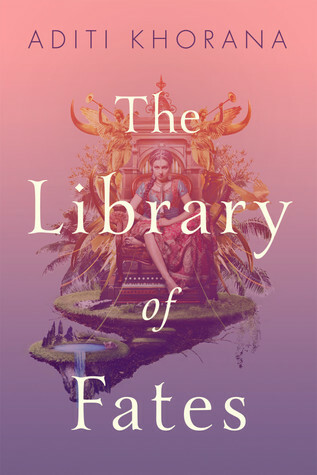 I rated it four stars on Goodreads when I finished reading it, so I clearly enjoyed it, but I honestly can't remember exactly what I liked so much about it. I even resorted to reading other reviews on Goodreads just to make sure that the details that I was remembering were actually for this book. So what can I tell you about this book? I remember that there were some elements of insta-love, but by the end of the story, it made sense to me, and the love story was not the main focus of the book to begin with. So even though I'm usually not a fan of insta-love, in this case it worked. And beyond that, I'm not going to say anything else because I don't trust that the other thoughts I have floating around in my head are my own and not derived from the reviews I read on Goodreads. Romie's Review // Keertana's Review - These are the reviews that most helped me verify that I had my details about the story correct in my mind, and are definitely worth reading. MIRROR IN THE SKY is her first novel. She lives in Los Angeles and spends her free time reading, hiking, and exploring LA's eclectic and wonderful architecture. I'm so annoyed that I didn't download this one before it expired from my First Reads account. Glad you enjoyed it though!